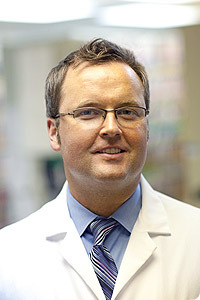 Dr. Christopher Manning has been with South Hills Orthopaedic Surgery Associates since 2005, focusing on the upper extremities, hands, wrists, arms, elbows, and shoulder replacements. Manning attended medical school at the University of Pittsburgh School of Medicine. He completed his residency in orthopaedic surgery as well as his fellowship with a focus in hand, upper extremity, and microvascular at the University of Pittsburgh Medical Center. He is associated with St. Clair Memorial Hospital of Pittsburgh, Washington Hospital, the UPMC South Hills Surgery Center, and Radiance Surgery Center. Dr. Manning is a member of the American Society for Surgery of the Hand, the American Academy of Orthopaedic Surgeons, the Pennsylvania Medical Society, and the Allegheny County Medical Society. He is married with four children.